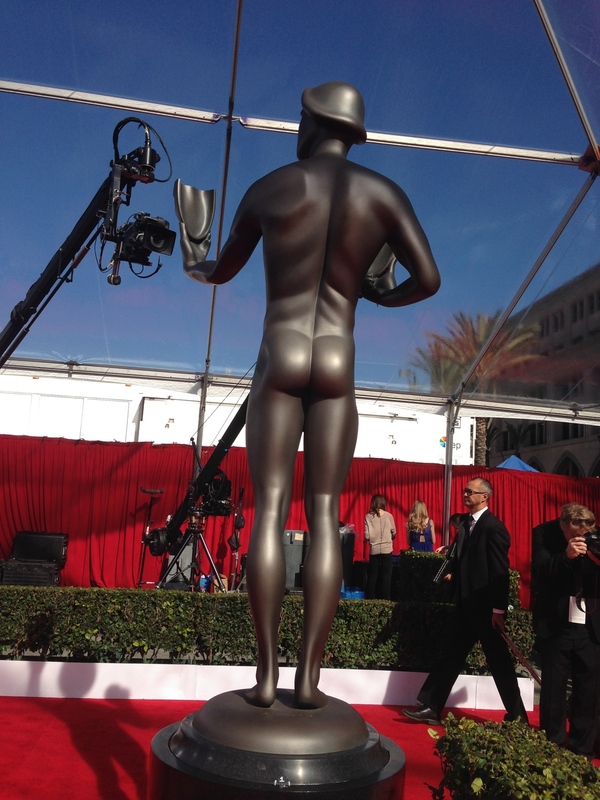 MYNEWYORKEYE - SAG Awards 2015! RED CARPET! In Hollywood, when the red carpet is rolled out, the press line becomes packed with journalists and photographers from all over the world! The screams and howls of “look here” and “who are you wearing?” is echoed for a solid hour as the glitterati makes their way from their limo to the events’ door. This past Sunday the 2015 SAG Awards® rolled out the carpet: 17,100 square feet of it to be exact. It was edged by 12,000 feet of hedges and 300 fans in a three-row, six-foot high bleachers cheered the celeb arrivals. The temperature, in Los Angeles that day was a balmy 80 degrees. On the red carpet snippets of conversations, by nominees, presenter and attendees alike focused on the value of “staying”—staying in the game and more importantly, staying true to yourself. “Acting is my passion. I’m lucky.”—Matt McGorry, (John Bennett, a prison guard in a relationship with Daya from “Orange Is The New Black”). “It’s been a rewarding experience on many levels. I am also very proud to represent a community (transgendered) in a positive light.”—Laverne Cox (Sophia Burset, an inmate and transsexual woman). In Entertainment, Awards & Festivals, myNewYorkeye-ROAD TRIP, SAG Tags MYNEWYORKEYE - ROAD TRIP TO HOLLYWOOD!, SAG Awards 2015!